This jacket is a real eye-catcher. The Womens Kiruna Forest Jacket is incredibly practical, and with its nature-inspired pattern it looks cool too. 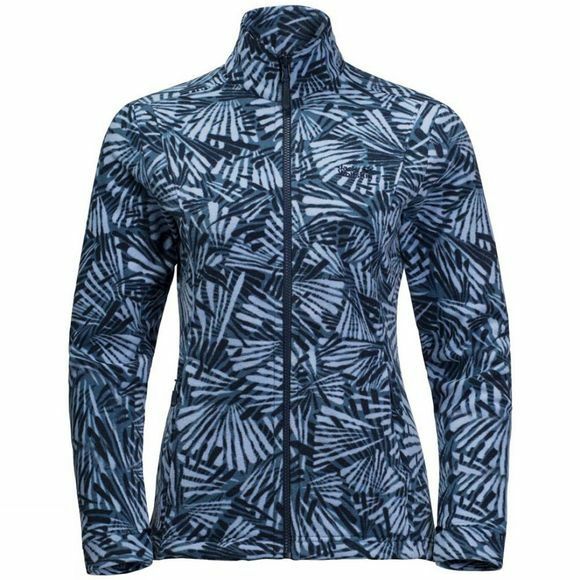 The Womens Kiruna Forest Jacket comes in 100-weight Nanuk fleece and provides light insulation for warmer weather or more energetic activities. You can also combine the fleece with a compatible shell jacket using the system zip (length: SHORT). It has a compact pack size, so you can keep it in your backpack on standby for when it gets cooler higher up the hill or it's time for a quick rest break.